The Place I first tried Ristr8to coffee in Chiang Mai, and am pleasantly surprised that it has made its way to Singapore. It is also a surprise that this award winning brand from Thailand chose to open in Chef Avenue Food Court in Tai Seng. The brand is by an award winning barista and owner in Chiang Mai, who has also won the World Latte Art Champion 2017. The best space to catch the barista in action are the limited counter seats, otherwise there are plenty of seats around the food court to enjoy the coffee. The Food I will recommend going for the signature coffee, such as the Satan Latte (S$5), which is a double shot of Ristretto. There is an indication of the strength of the coffee on the menu, which makes it easy to choose something based on your mood. For me, I enjoy watching the barista at work. The intricate details put into each cup is amazing! The Ficardie (S$4.50) is my kind of drink. The caffeine content is strong and the flavour of the coffee is robust. With double shot of Ristretto, it is served in a cute skull cup! Rants It would be great if the space is a more dedicated one. Will I Return Again? Coffee is good, though the location is quite an offbeat choice. 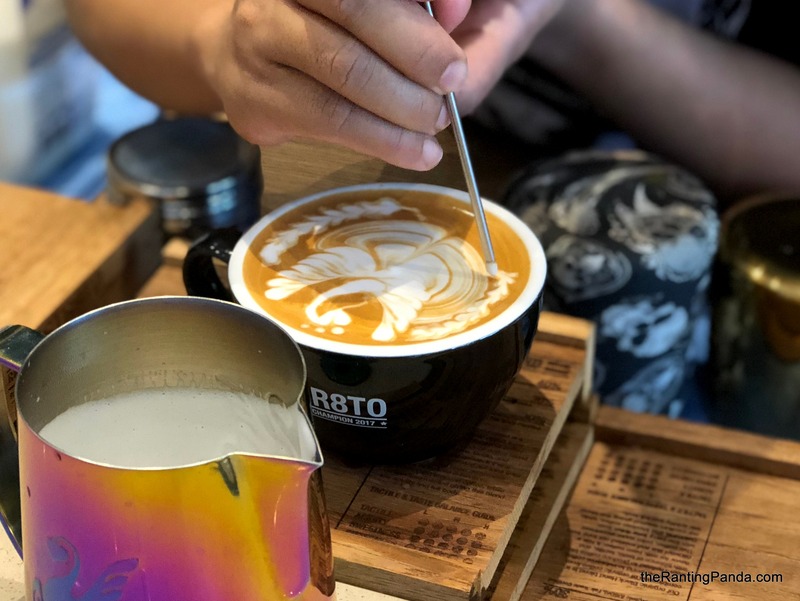 It will be a destination of its own for coffee seekers in this industrial area, with another coffee option being Alchemist at Khong Guan Building across the road.